Hey, did you know there’s no such thing as an all-private beach in California? Our Malibu Beaches gives you pinpointed directions and expert tips so you can enjoy the 20 miles of gorgeous beaches in Malibu that are lined with private development. Yes, you, me – all of us, the public – own an awful lot of the sand on those 20 miles. But how do you get to them? And which parts of the beaches, exactly, are ours to enjoy? Now those are some of LA’s biggest secrets. Grab your phone, a trashy novel, and make a mad dash for the PCH! 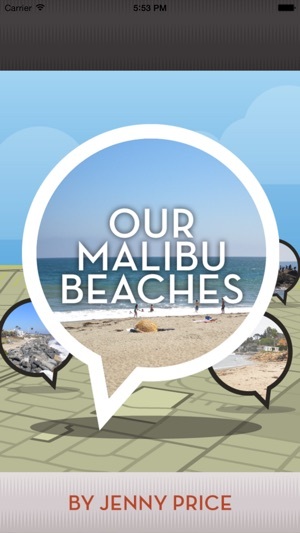 Our Malibu Beaches: An Owners Guide is part of the Know What network, a collection of apps from brilliant, informed people – each with dozens of favorite places and best local secrets. So you can always Know What, no matter where you are. We've fixed a couple of bugs and updated information about easements along the beaches and accessways to help you get to them. 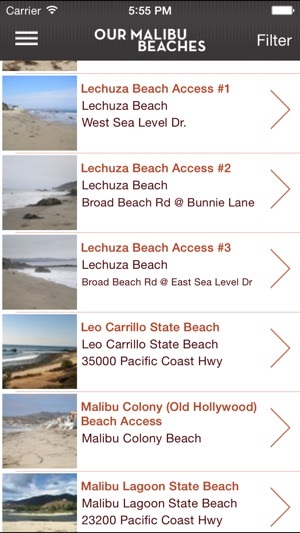 Now you can enjoy even more of our Malibu beaches! 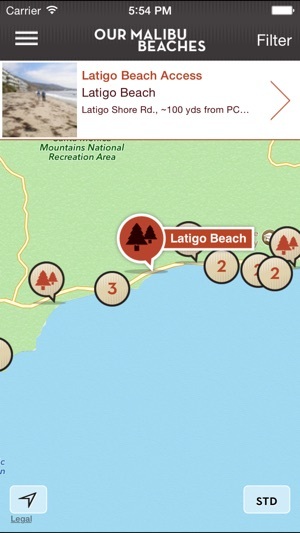 Awesome app for avid beachgoers nearby! 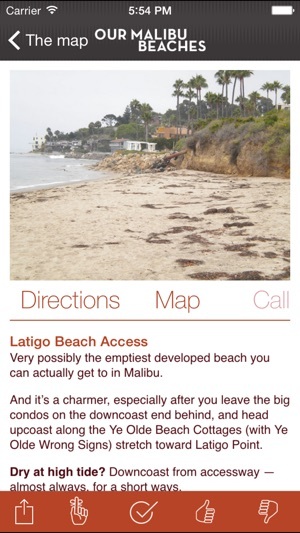 NY transplant now based in LA & love to go to the beach - this app covers all the bases for planning a beach excursion! Photos and details about parking, signage, easements, and entryways make exploring the gorgeous beaches of Malibu much easier for a relative newcomer (& cheaper, thanks to instructions re: free parking and public transport). Thank you so much from this frequent user!